People say the market has shrunk, so we should reduce capacity. I am like, why is that? Because R&D and capacity expansion are for three years, five years from now. Downturns will be there, but there will be an upturn again later, so why would you stop doing R&D? I never understood that. But now I understand why people do it because they need to conserve cash in the short term. But that is like shooting yourself in the foot. You can conserve cash now, but you can’t see the negative effect of less R&D today. You will see it years from now. We have been working on our global strategy for three to four years. We are putting ourselves in a position of understanding our capability so that we can truly in the next decade or so become the first global consumer brand or premium consumer brand to come out of India. Global to me does not mean a few markets. It means looking at developed as well as developing countries. Without India we cannot do anything. This is where our scale comes from. This is where our cost structure, our understanding and our profitability come from so that we can reinvest in markets outside the world. The base will be India because millions are riding 350cc, and some 500cc. So, if we manage to upgrade those guys to 650cc, we can have a huge base and scale. This scale, in turn, will help us get the right cost structure so that we can offer the 650cc in global markets at a true middle-weight pricing. So, India is super important for us. I can stay patient, but if I had a bank banging on my door, asking me to repay a loan, I am screwed. Then you can’t stay patient. So being patient is nice, but it has to be backed by balance sheet. We have the strongest balance sheet in automotive because we have no debts; we have ₹5,000-6,000 crore cash on our balance sheet. We are in an amazing working capital position, and this helps me in being more patient. We have built beautiful stores, we have lovely rides, we have lovely events… this brings people to us, pulls them in. Once we have a ‘pull’ factor, (growth) will happen. It (pull) might take us five years, a decade or 15 years. But I am okay… we need to charm people. We do not need to dash people on the head, asking them to buy Royal Enfield. That is not the way to do it. When you are waiting at a traffic light, and the guy next to you on a (fancy) bike zooms off when the light turns green, then frankly speaking, he is acting like a kid. He is not a man. The people riding Royal Enfield don’t want this. Our guy is more self-assured with power and does not want to compete with these kids. Of course, we like to give a little throttle and ride it hard. But the manliness quotient of the whole thing is a bit more different. It’s not kids’ stuff. We didn’t react. Because to react means to acknowledge. And honestly, there was no need to be on the defensive. The rival brand got blasted on social media. It was bad PR. Rather than being happy about what you are doing, you are taking down somebody. It was like free advertising for us. People were talking and felt more strongly about Royal Enfield. We are good friends. But obviously, in the market, we have to do what we have to do. At the front end, there is no friendship. But at the backend, we are friends. 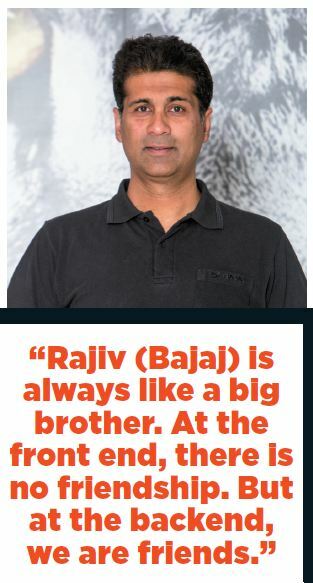 Rajiv is always like a big brother. When we were tiny, and we needed guidance, he opened his doors. We always had an amazing friendship, there is no doubt about that. But at the front end, it is all competition. UVs were meant for utility, they were meant for off-roading, or they were meant for hauling. Then came SUVs. Though initially meant for off-roading, now they have become mainstream. People use SUVs for their daily use. RE too became an all-purpose bike…from commuting to leisure to long distance. And that is when it became mainstream. 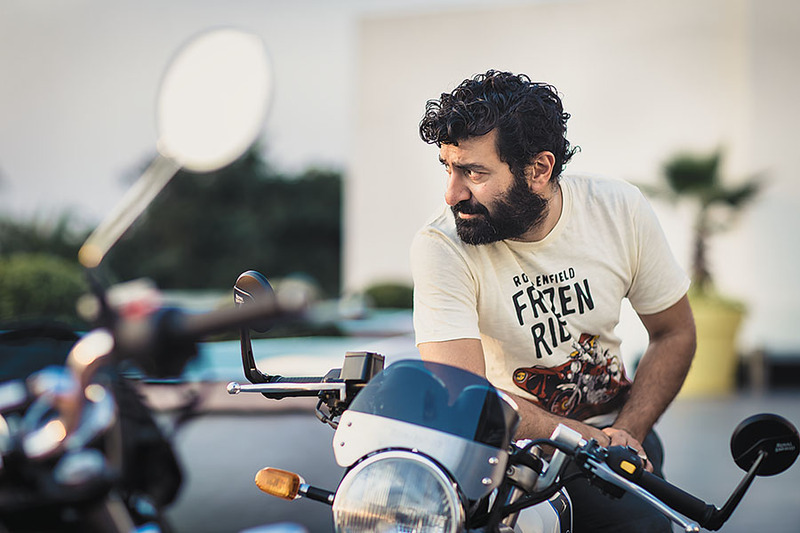 The analogy for Royal Enfield’s success into mainstream is the same as the SUV’s success. Our joint venture with Polaris (for off-roaders) was a huge one [mistake], which took a lot of time, money and energy. Actually more than the money, it is the energy and time that it took for all of us to understand the segment, business, and customers. We tried something different. That was, if you want to say, a mistake of epic proportions. Fortunately, it was not big enough to cripple the Royal Enfield. It wasn’t that big, but it was big enough to take our time and energy. Money-wise, we lost quite a bit. But that’s fine. The real mistake we made there was that we tried doing too many new things. If there are one or two new variables, it is fine. But we tried too many new things and products. Indian motorcycle companies today have the same opportunity that the Japanese had in the 1950s and ’60s, when they started making a push overseas; they had a certain competitive advantage that no one else could match. And they became dominant in motorcycling for decades. In fact, till now they dominate. But what has happened is that because of our home market, our ingenuity, our understanding of various other aspects such as brand, our ability to make equally good motorcycles, or even better in some cases, we have perhaps a better understanding of certain other areas like design or brand or even distribution. We have a solid home market. It could be our turn now. It is already happening. Indian motorcycle companies will be the next wave of what the Japanese did 50 years ago. I am not going to go after that market because we are not that company. So, we are not going to chase every segment just because it exists. We have not done that in the past, we have not done that in 100cc, 150cc, 250cc… we are not going to go chasing after that in the future. It took us 20 years to get where we are. But we managed to pull it off. But in those lower spaces it is hugely competitive. There is huge cost price pressure, and our brand might get diluted. Moreover, the margins are lower. This is where Royal Enfield differs from others. So why go to a space which is crowded? Why not create another space? And that’s why we said, we will go up (650cc) rather than down. On losing market share We want to be the market maker and defend our style of motorcycles. So I am not worried. But if you ask me, today I have over 90 percent market share in 220cc plus. Where the market size is 1 million, we have 90 percent market share. Now will I be worried if it comes down to 75 percent? No. It is bound to happen someday. I cannot keep 90 percent to myself. And it’s okay as long as the size of the market grows. So if from 1 million it goes to 5 million, and we have 75 percent of 5 million, I would be delighted.